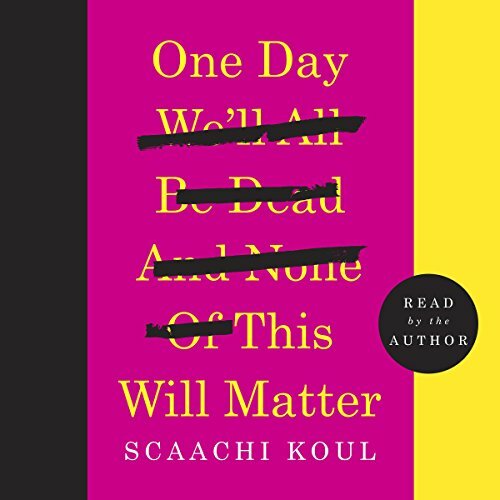 Showing results by author "Scaachi Koul"
Scaachi Koul deploys her razor-sharp humor to share all the fears, outrages, and mortifying moments of her life. She learned from an early age what made her miserable, and for Scaachi anything can be cause for despair, whether it's a shopping trip gone awry, enduring awkward conversations with her bikini waxer, overcoming her fear of flying while vacationing halfway around the world, dealing with Internet trolls, or navigating the fears and anxieties of her parents. 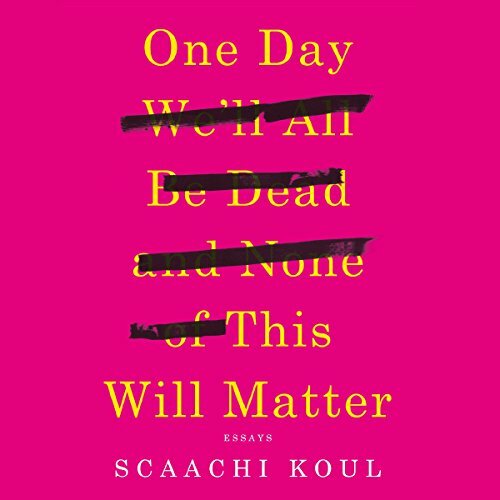 In One Day We'll All Be Dead and None of This Will Matter, Scaachi deploys her razor-sharp humour to share her fears, outrages, and mortifying experiences as an outsider growing up in Canada. Her subjects range from shaving her knuckles in grade school, to a shopping trip gone horribly awry, to dealing with Internet trolls, to feeling out of place at an Indian wedding (as an Indian woman), to parsing the trajectory of fears and anxieties that pressed upon her immigrant parents and bled down a generation.